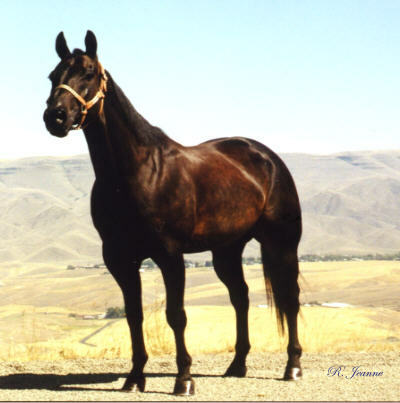 Twist was a 1995 seal brown gelding purchased by us as a yearling from Hilker's Sunrise Ranch in Nebraska. He was the product of breeding one of their good mares to Ashes In The Fire, an own son of Fire Water Flit. We liked his overall good looks, his heavy bone, and straight legs. As he grew, he developed the bulging muscles of a born athlete. At maturity he stood 15.1 and weighed about 1100 lbs. He inherited the Flit Bar athletic turns - hind quarters low in the ground. 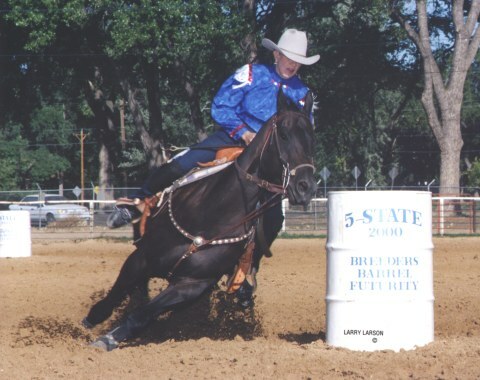 Twist demonstrated his dexterity and athletic ability not only in barrel racing, but also in pole bending. 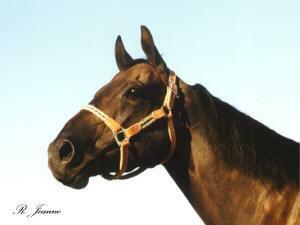 His fastest recorded time for us on a standard AQHA pattern was 20.001. 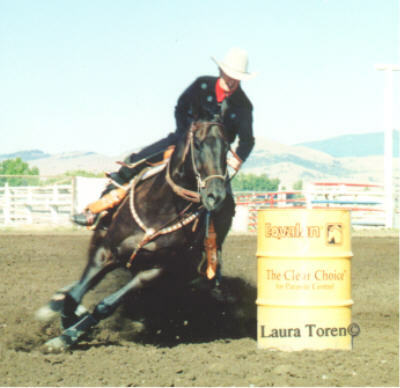 Barrel Racing and Pole Bending Earnings to date over $11,000!